This was the smoothest project of the summer! Planned, delivered & invoiced as promised with no surprises. 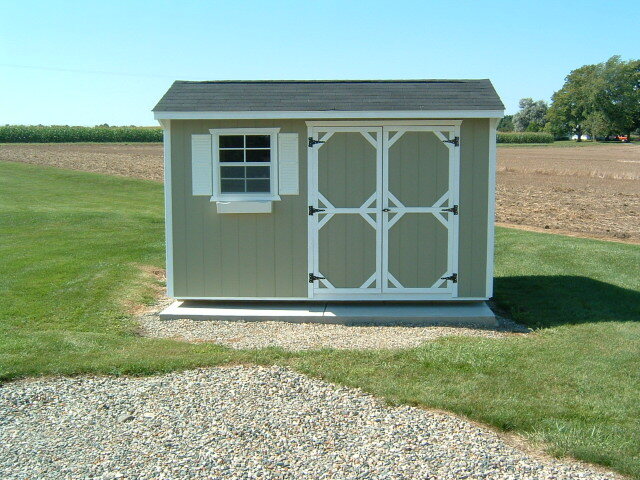 Our shed adds a touch of class to our landscape, is very well built and more useful than we ever imagined. 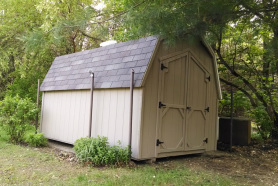 We shopped around (home depot/lowes) and also looked into constructing our own or buying a DIY kit, but the BCBarns sheds were superior and also saved us time and the agony of building. 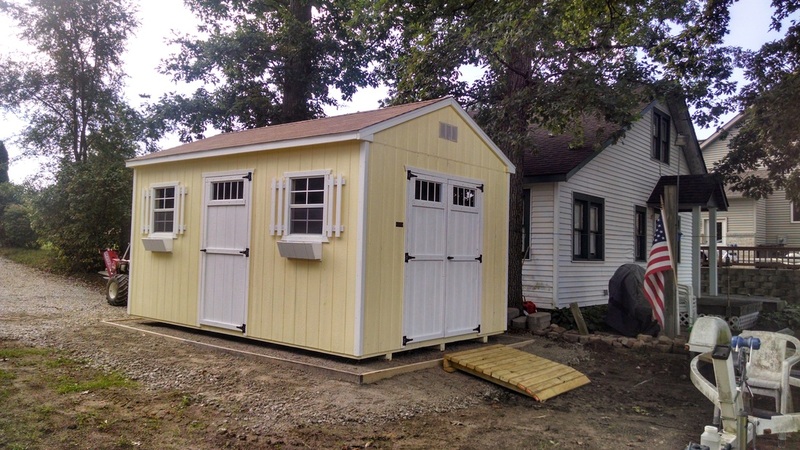 The shed is solid and the options/pricing were easily understood. 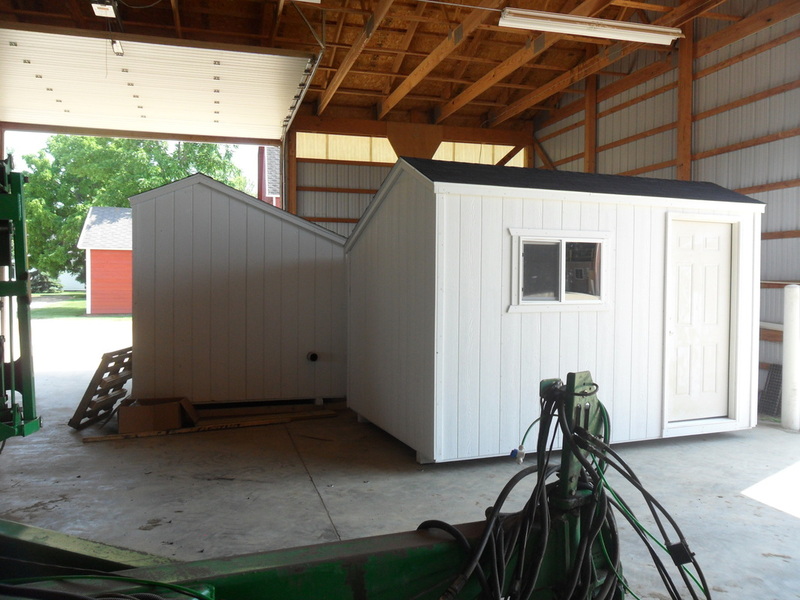 We were sent photos to confirm our shed specs prior to ordering and the start to finish process was simple. We sided the shed ourselves (to match our home siding) and painted the trim. 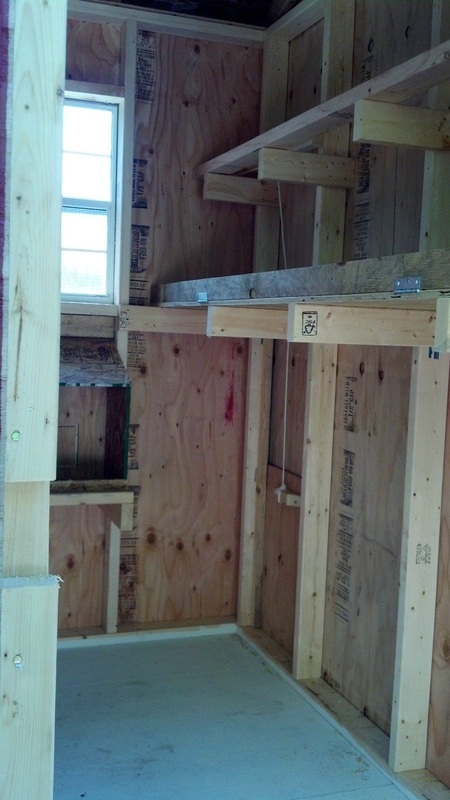 It's the perfect size and customized to our liking with doors/transom windows, gable overhang, and upgraded flooring. For the price this is a smart home investment. We are very pleased with our shed. High-quality construction. The customer service throughout the process was great. I spent sometime doing research on getting the best value for my dollar when I invested in a shed and feel I found it with BC Barns. I was very impressed with the service I received. The salesman was very helpful in picking out the style, color and accessories I needed. I was given a tour of the construction facility and the delivery date was even sooner than quoted. The delivery team was very professional and efficient I was very satisfied with my overall experience. We couldn't be happier with our shed from BC Barns! From the knowledge to the professionalism from the staff, as well as quality and delivery of the finished product, it was an outstanding experience all the way through. 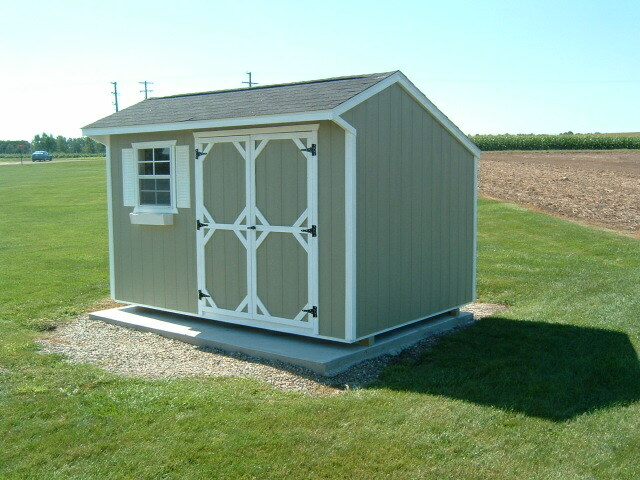 We highly recommend BC Barns for your building needs. ​2nd barn purchased with BC Barns. Joe has been very helpful both times when working on building the barn we wanted. Joe is honest about time of build and delivery date and has always met those expectations. I will always refer him to anyone I know who is in search of a barn. 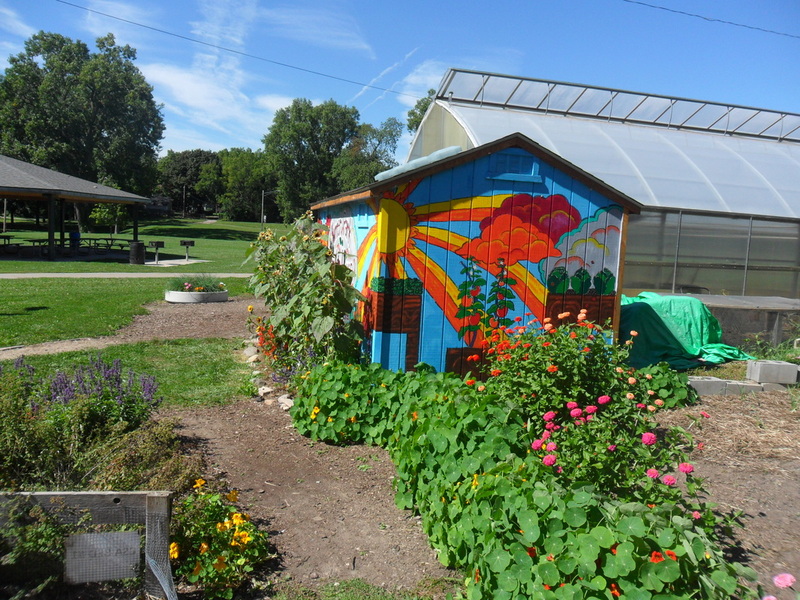 Your team did a fantastic job customizing my shed "the green-house" to my exact specifications! All the custom work was very affordable and it turned out great! You matched my sketch perfectly with no issues, delays or setbacks. It arrived picture perfect and on time. Joe's communication was on point and he always made sure I knew the status of construction. Thanks again for the fantastic job and I will certainly be recommending you to anyone and everyone! Received your thank you card an survey. I am very pleased with the building I bought. It serves as my home work shop. We found you by chance on a bike ride. We do see your advertisements around the area. Site prep by the gentleman you recommend and delivery all went smoothly, plus you were great at getting my order done timely because I was moving. When we were looking for a storage building to replace the "tin" shed we had in our backyard, the internet directed us to BC Barns. I was very impressed by the various selections of building styles. Even though there were a couple other storage building sales firms in our area, including the big box stores, the barn style building with the roll up type overhead door caught our eye on BC Barns website. We decided to take a Sunday afternoon road trip from the west side of the state and drive the 95 miles to inspect the quality and workmanship of their buildings. I was not disappointed. I contacted Joe the next day and made a deal on the barn style building. They had other style of buildings that also caught our eye such as their chicken coops which would be stylish in anyone's backyard and their cottage style buildings which is something we are considering for the future. The building was sold with the exterior primed only. After we made the deal, we decided to call Joe back to see what they would charge to paint the barn a bright red with white trim. The price was very fair so we added that to the cost. 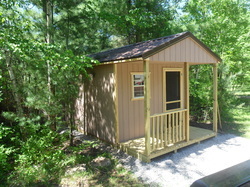 The building was delivered as promised and the paint colors exceeded our expectation. It was very entertaining to watch the building be unloaded and driven by the mule to the back of our yard and set into place. All done with the utmost professionalism. I can't say enough about BC Barns and would highly recommend them to anyone as we already have to others in our community. Joe is a good friend of mine, a very reputable business owner, and an excellent builder. 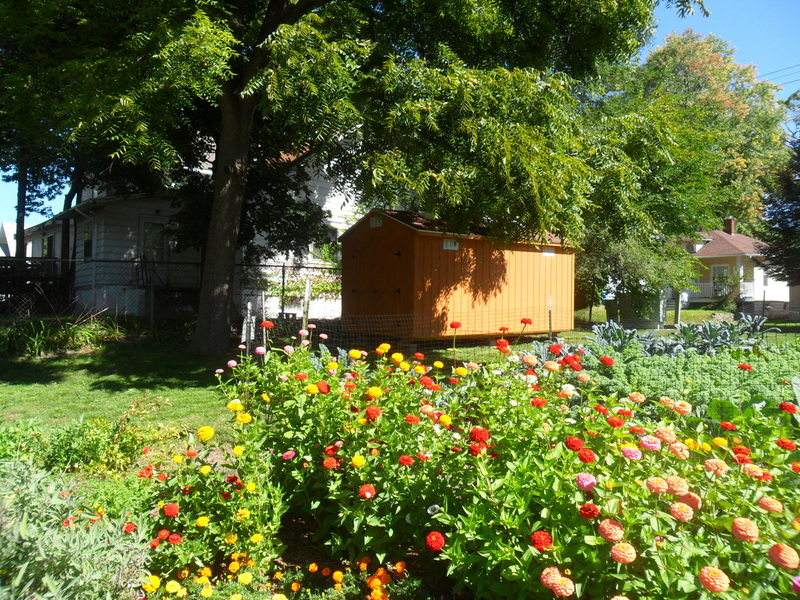 I absolutely love my shed and recommend BC Barns to all people in need of a small out-building. You cann't beat the quality of the buildings.I have bought two in the last 3 years.One for my wife to store her gardening stuff. The other for my Mom. BC Barnes set both without tearing up the yards. My brotherinlaw was so impressed He also bought one. You got to my place on time and wasted no time getting started. Having to built it from the ground up I was so impressed at how it all went together. You and "dad" (father-in-law John) worked so well together and it is so beautiful and the shelves are perfect. I told you it was so nice I could live in it. You made me so happy and I can not believe the room I have inside Thank You Joe for such a beautiful shed and the pride you put into building them. 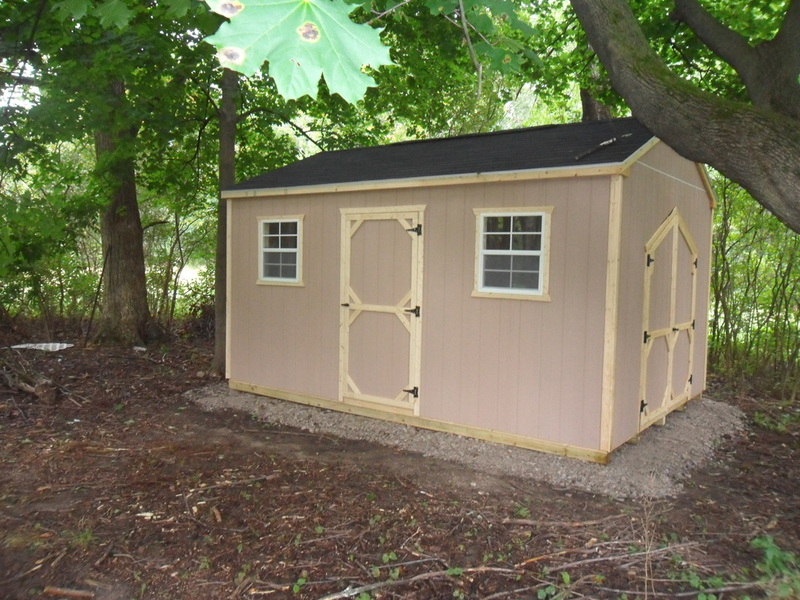 I would not hesitate recommending your sheds to any one. It was a great experience right from the start. Even the neighbors commented on how nice it looks and other than painting the shutters to match the house, we wouldn't change a thing! 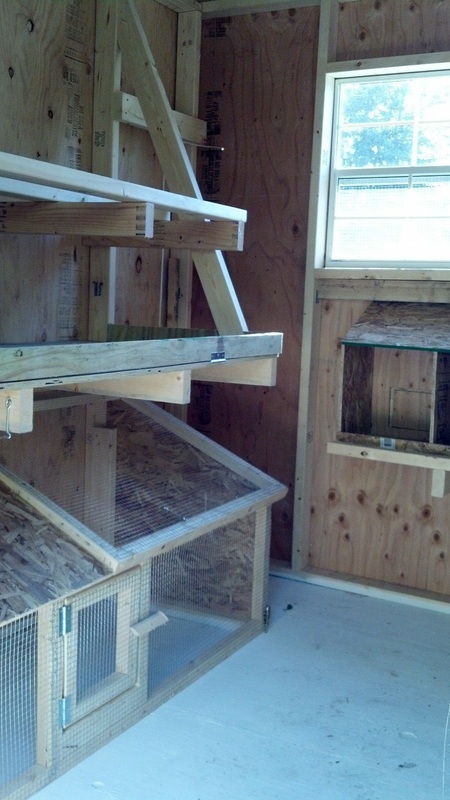 We are so happy to have added a third window and the loft, which gives us much more storage room. BC Barns is a great company. Joe took the time to show my wife and I all the different shed styles, sizes, and options that were available even though there were several other customers who came into his office after we got there. 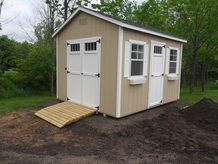 Joe explained everything in detail and provided us with several different price quotes on the several shed sizes and options we were considering. 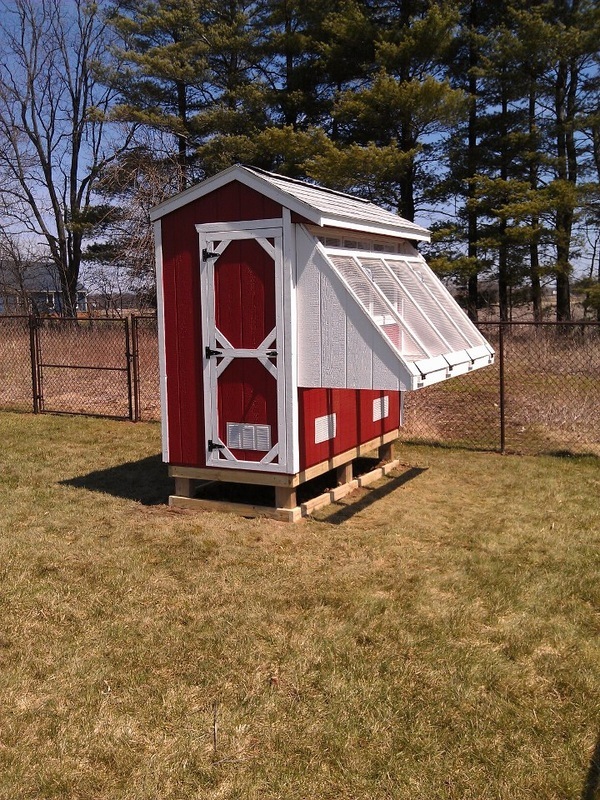 We decided on a 10x16 Gable and were able to have it customized to our liking, including getting gable extensions, transom window doors, vinyl siding, widows with shutters, and planter boxes. The available options seemed endless. Joe even installed gable vents and shingles that I supplied which matched what we have on our house. 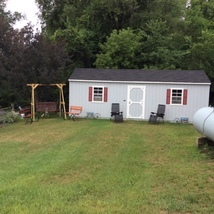 The shed was built and delivered to our house within 30 days as promised and placed in the backyard between two trees just where we wanted it. We are totally satisfied with the quality and price of the shed and couldn't be happier with the way Joe and his crew handled everything. Now we have room in our garage again! Thanks Joe! Joe did fantastic. I gave him a custom job and he knocked it out in record time. Very happy with my barn it is working out well for me. I was able to do all my custom plans via the internet and when it was done I picked it up; painted and ready for use. Thank you very much Joe. 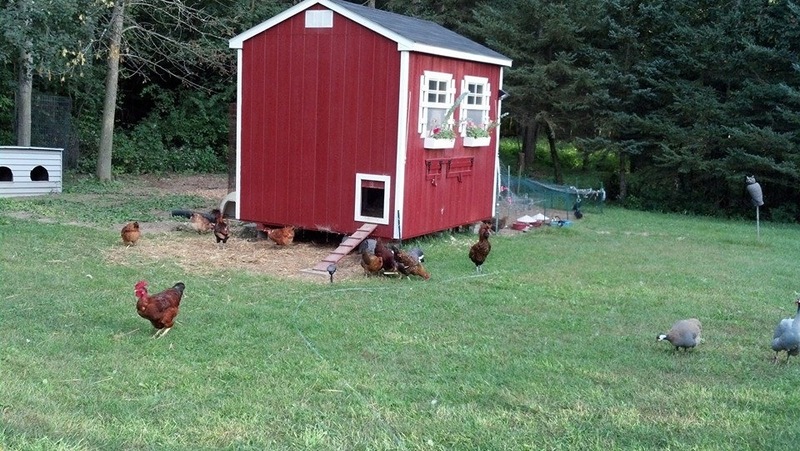 We love our shed that we purchased from BC Barns! 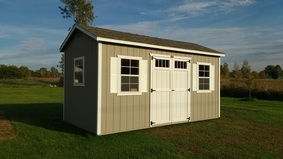 BC Barns builds beautiful, quality sheds, has a wonderful customer service, and we would recommend them to everyone! We love our BC Barns shed(s)! 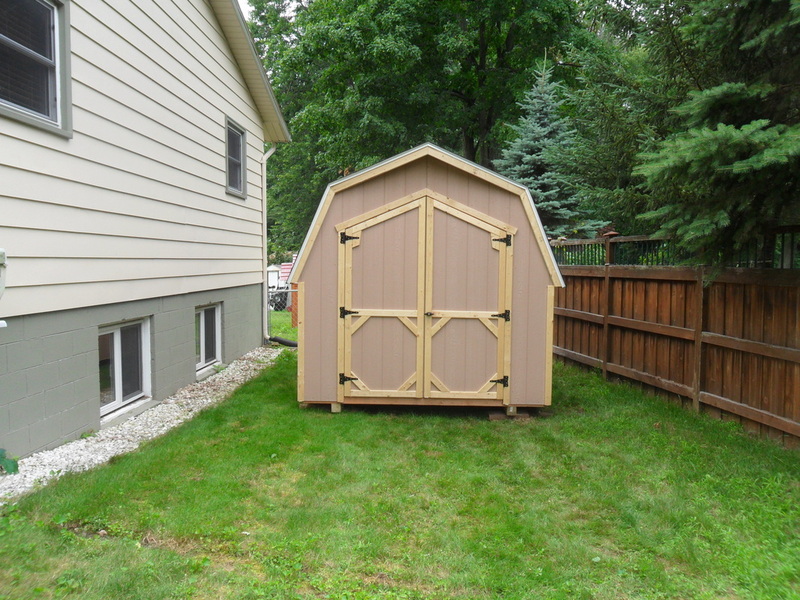 Our overall experience with the purchase of this shed was excellent. Joe addressed all of our questions and concerns, and was able to match the paint and shingles to our lake cottage. We were a little disappointed with the shed flooring (the plywood was quite rough), but we covered it with vinyl flooring and now it is as smooth as glass! 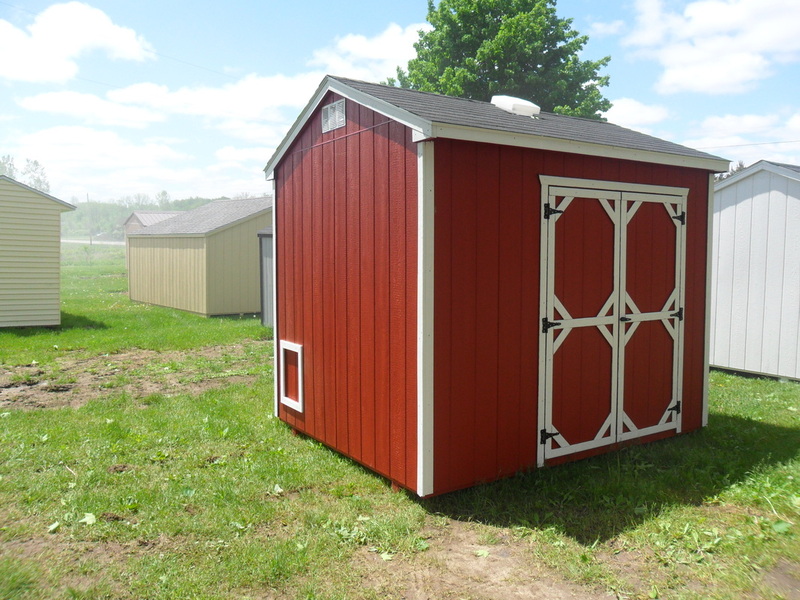 We purchased 3 (8x12 Saltbox) storage buildings from BC Barns this year (2013). 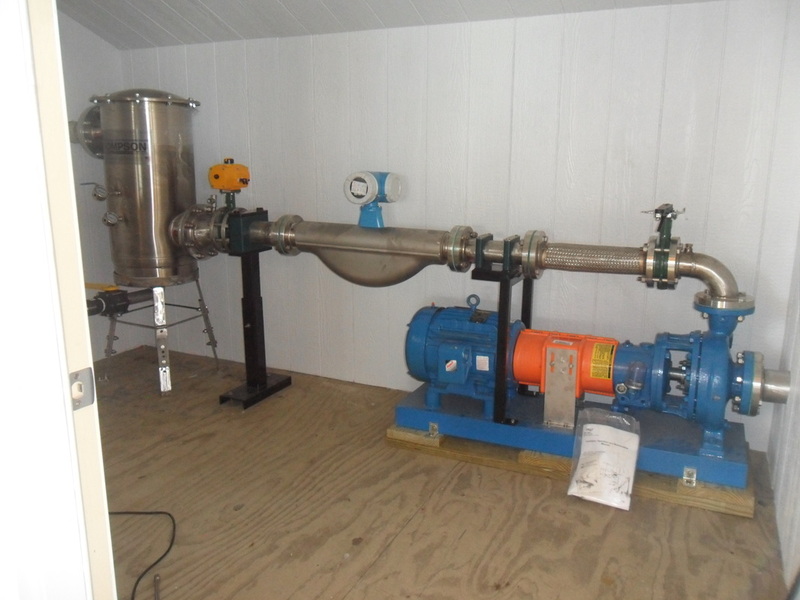 Joe provides us with a quick, easy solution to install our load out equipment in a building where it will be protected from the elements of nature. Quality and schedule meet our expectations. 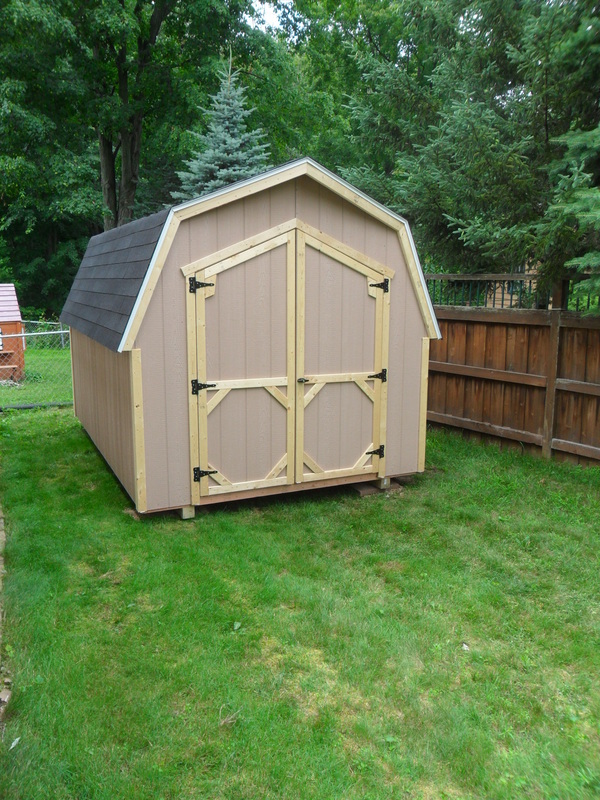 The quality of the shed was top notch and meets my needs perfectly. 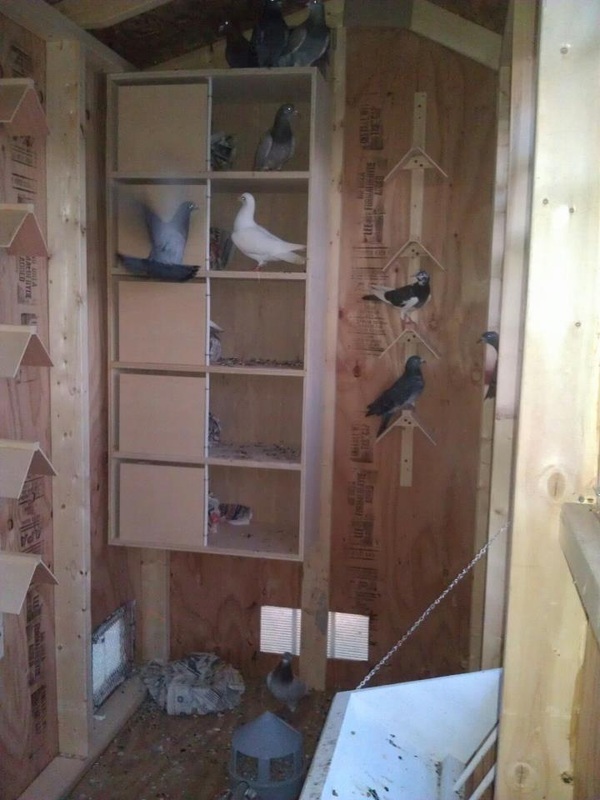 I was looking at shed kits online and on Craigslist when I came upon your ad. 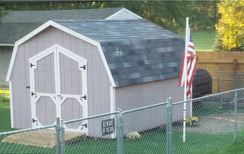 For the same price as a kit I had to assemble myself, I was able to have a completely assembled shed delivered to my home. The shed was ordered and was finished a couple of weeks ahead of schedule (3 weeks from order to delivery) and delivered promptly. The delivery crew was able to place the shed exactly where I wanted it inside a tight stand of trees, very impressive. Thanks for a great Michigan-Made product! I love my new shed. The best part about my purchase is the service, follow-up and the stand behind the product. In this day and age it is unfortunate many companies no longer care about the purchaser or product, just the money. I so appreciate your wonderful product and service at a much lower price than other businesses in this area. I will not hesitate to call for future building needs. Thank You! Thank you, for such great craftsmanship in your buildings. I would purchase another building from BC Barns. They are better than the Big Box Stores buildings. Thank you again.